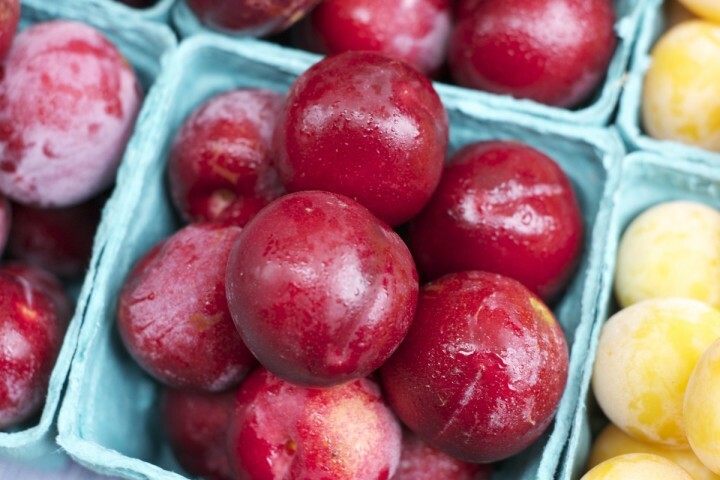 At Portland Farmers Market, summer is our favorite time of year. The weather is beautiful, all seven of our markets are open for business and you can find an incredible variety of local food is at its freshest. Fruit – tasty and portable! No preparation required. This Saturday, August 8, we will be talking about each of these things in a 7:50 am segment on KATU Channel 2 News with host Matt Johnson, focusing specifically on no-cook, market-sourced meals that you can eat on the go. We hope you’ll tune in to learn more about what you can find at the market this time of year! And of course, visit one of our markets afterward! Market food lends it self nicely to no-cook meals, so it’s easy to eat at home when you’re short on time, or to take on the road with you. And this is a good thing, because we live in a region with a wide variety of summer activities to keep you busy. So, to help you plan the rest of your summer and enjoy this beautiful weather, we compiled seven places you can set up a picnic with a basket full of market goodies. Under a Tree. You think we’ve had all the hot days for the year. Next time the thermometer/phone app climbs over 85 degrees, pack up cheese, bread, pickles and a book and head to the nearest tree. Movies in the Park – Our friends at Portland Parks and Rec are screening a movie in Portland almost every night in August. Sure, you could bring popcorn with you but if you really want to be the envy of those with more traditional movie fare, throw a peach and Jacob’s Creamery mascarpone in a basket to enjoy. Sunday Parkways – Not a regular bike rider? It doesn’t get better than slowly pedaling on cordoned off streets visiting the city’s parks. Another great activity organized by the geniuses at Parks and Rec, you can pedal SE in August and then cross the new Tilikum Crossing Bridge in September. There will be food and community booths along the way, including many familiar PFM faces, but your own cucumber, dill and Smokey smoked fish salad is the proper fuel for your ride. Hike the Columbia Gorge – Especially good idea with a weekday market, duck out of work at the half way point, tuck your picnic supplies in your car and head to the clean air and cool shade of the nearby Columbia Gorge. You may want to carb load for the journey. Fruit, bread, Tastebud bagel are perfect for this trip. Washington Park Concerts – It’s almost like Parks and Rec want you out of the house. This time up they’re directing you to amphitheater adjacent to the Rose Garden. Flowers, dulcet tones and a pie from Lauretta Jean’s. Flicks on the Bricks – The Grease sing along on August 7th will leave little time to munch in-between songs, but you can love your summer and have a blast at Pioneer Courthouse Square’s August movie screenings. What’s better than a potable, portable sandwich? one made from Olympia Provisions meats wrapped in a Pearl Bakery bread. Road Trip! – We all know about the Fruit Loop through the Gorge, but point the car in the direction of Oregon’s Agricultural Basket with your picnic foods and visit the place where many of our farmers grow the quality food you’re used to seeing at our markets. As a bonus, you’ll find wine to taste, rivers, parks, trees and trails to take in. Make a day of it.